My Samsung 850 EVO 1TB is slower than yours, please help. I have just mounted my new Samsung 850 EVO 1TB on a Asus X99 Deluxe motherboard running a 5930K. 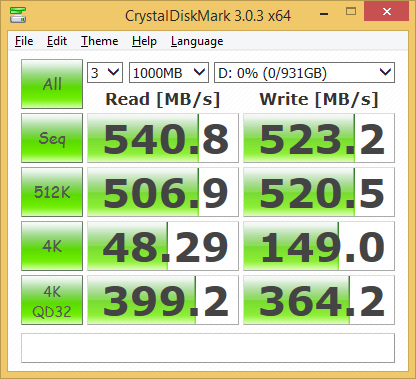 formatted it as NTFS and then started some benchmark like ATTO and Crystal Disk Mark. The SSD is mounted as a secondary drive for data storage, my OS drive is a Corsair Force GT240GB that is waiting to be replaced by another SSD. Why my drive is slower than reviews? Was the drive secure erased before those tests were completed? Nothing that I'm seeing is showing it to be far outside the range of error with those light consumer benchmarks. Are you running the latest intel drivers as well? created the GPT partition and than formatted as NTFS. I'm on the latest intel driver. My 4K test does half the speed of what tested in reviews, why you say that it could be normal? Burst workloads are very unpredictable and have a wide margin for error compared to sustained workloads with flash, especially for small sample sizes. 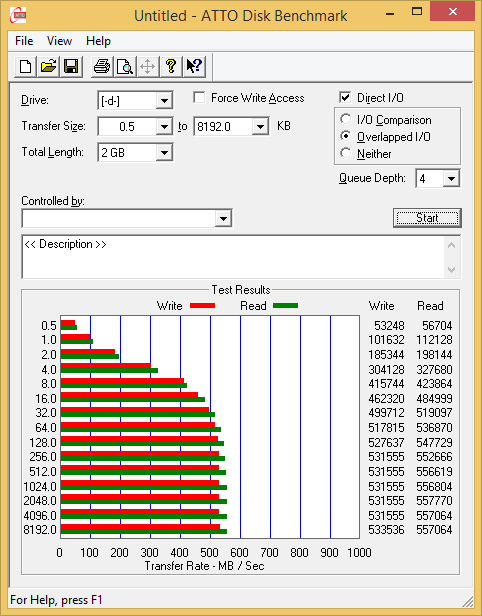 The areas you'd want to check is firmware of the SSD (does it match reviewers copies). After that doing a secure erase and doing these benchmarks first would give you a good idea if they repeat or not. If you say that my results isn't bad I will avoid formatting the drive since I installed a lot of things on it now. If you say is ok, I'm in, it's ok. Drivers and cables are OK, firmware is the latest available. Drive is set in ahci mode and connected to the Intel controller. 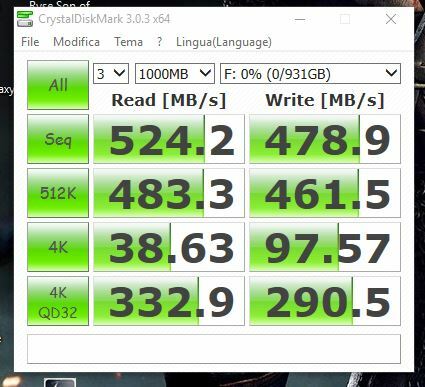 It seems that my corsair force GT 240 is faster than my 850 EVO in the 4k test. 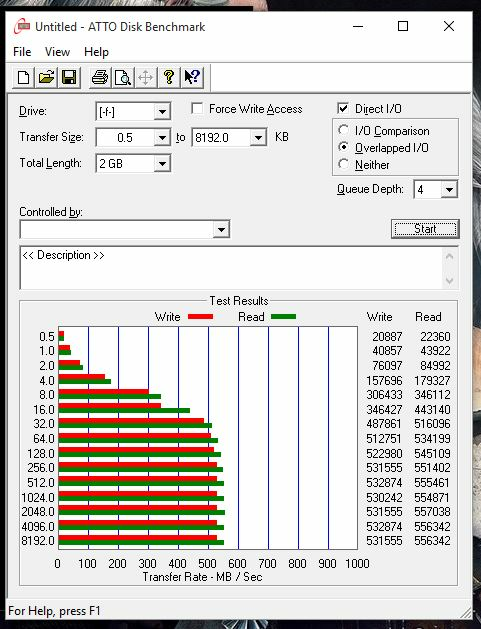 I'm kinda meh on the packaged testing tools, and even if one thing or the other is faster in a particular benchmark, it still doesn't translate into "felt speed" nor do they capture the quality differences between drives. Looking at hero performance numbers doesn't always translate into the real world I suppose is my main point.